How to Fix Error 0x800ccc0f in Microsoft Outlook? MS Outlook application is a part of multiple organizations for emailing platform. When organizations use this application a minor glitch with this application can literally slow down the workflow which affects production as well. Erroneous messages not only interrupt you from work, but also resembles that the file has been corrupted. Some of these errors are also related to sending or receiving of emails and indicates that there is some synchronization error. 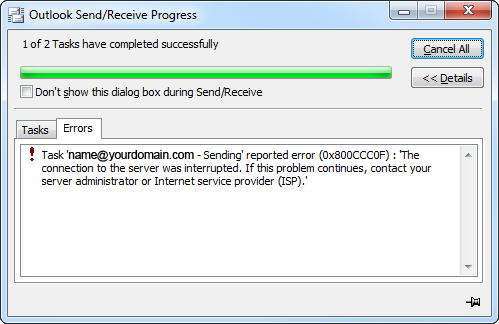 One of these errors is Outlook error 0x800ccc0f, which usually occurs when a user try to send/receive emails. In order to solve this error one will need to diagnose the issue, find what has caused this error and remove it completely. Connectivity problems due to which mails are not being sent and received. There can be issues in the internet or network. There can be problems with the Outlook profile settings or profile can be configured incorrectly, which is causing such send/receive errors. This error also signals towards incorrect Server settings or technical issues from service providers. The messages have been blocked by Antivirus protection application or Windows firewall. MS Outlook application profile is damaged or the storage file is corrupted and hence messages show errors while sending or receiving. The above mentioned Outlook error 0x800ccc0f can be resolved using below mentioned workaround methods. You can perform the remedies as mentioned one by one and check if it works fine and cease the error. First of all check the Network connectivity, configuration, and server settings. 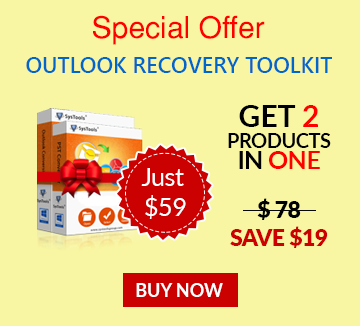 Try disabling the Antivirus programs to scan Outlook storage file if it is enabled. Also check the profile settings if they are set with correct options and change it if not. Try to delete all suspicious emails from your Outlook account which might be creating this havoc. Check website of your antivirus manufacturer for allied suggestions. Try to open MS Outlook application in safe mode and see if the error persists. If there are many emails stuck in the Outbox, try to clear it up (only Outlook Outbox). Verify the MTU (Maximum Transmission Unit) size set on router which might be creating the issue while sending particular emails. You can also try to recreate the Outlook profile again and see if the errors still persists. If the above mentioned steps do not resolve the issue, you can try to run the MS Outlook Scanpst.exe repair utility. This application is inbuilt repair utility and can resolve the Outlook error 0x800ccc0f issue by repairing the PST file of your Outlook account. It is easy to run and is capable to deal with minor issues in the file structure of MS Outlook PST file. You can also try to contact your ISP Internet Service Provider or Server Administrator to make the server settings and SMTP port settings right for you.